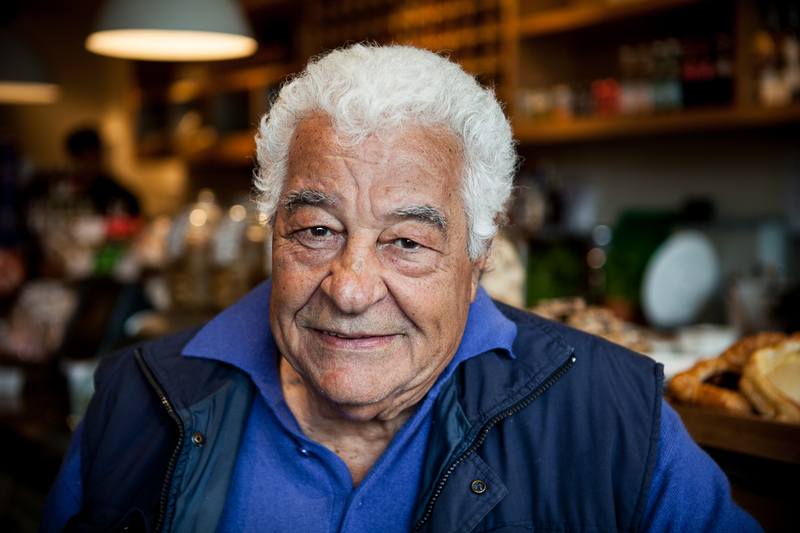 The restaurant entrepreneur Antonio Carluccio this week visited the Chiswick branch of his restaurant for a book signing of his latest book: Two Greedy Italians. Here’s my portrait of the great man. His amazing pasta dish the Penne Giardiniera (see my recipe adaptation here) rose to cult status (at least in my eyes! ), and Antonio himself told me that this dish was conceived at our very own Chiswick Carluccio’s!